My friends, it’s time to talk about…poop. More specifically, the battle that many parents face on a daily basis when their children suffer from constipation. What do you do if your child is constipated? Based on LOTS of trial, error, and research, I have come up with a simple daily regimen that I use to treat my child’s chronic constipation. Not only is it a natural, gentle home remedy, it works just as well if not better than the prescription medicine she used to take. Take note: When I say we struggled with constipation in our child, I’m not talking about occasional constipation or constipation caused by poor diet. I’m talking about constant, chronic constipation that has a neurological basis. So if you have a child with chronic constipation and are tired of being ignored by doctors or having Miralax pushed on you, this post might be your jam. This post is geared towards the kids that have never had a normal bowel movement in their life. Science has yet to nail down a specific reason for this, but often children with special needs suffer from infrequent bowel movements. This was one of our first big struggles with Elise, and it was a problem that became especially pronounced after the introduction of solid foods. IF she pooped at all during the day, it was preceded by an hour or two of crying because she was in such pain. And when it finally happened–yikes. Lots of tears. We would later learn that constipation is very common in children with Autism and Sensory Processing Disorder and that Elise’s constipation was largely because of her hypotonia. Essentially, her muscles lack the strength and coordination to poop. Without some sort of catalyst to help her along, she simply can’t go. My first project was to track every single thing that she ate. Since the trouble really started when she was just 5 months old and only eating a few different types of foods, it was really easy to make sure her diet was strictly fruits and vegetables that were high in fiber. I removed/didn’t add any constipating foods in her diet, and her pediatrician confirmed this. Nevertheless, she gradually got to the point where she wasn’t going at all, and was spending most of the day crying and uncomfortable. Insert frantic phone call to pediatrician. She was prescribed lactulose, which is a syrupy liquid that works by softening stools. In a few days it started working. Praise Jesus. As long as I never forgot a dose, she was okay and stayed regular. However, pooping was still an uncomfortable time for her and she would sometimes even have stools so hard they were bloody. We went on for 6 months like this, and then magically, around the time she was a year old, lactulose stopped working altogether. Insert second frantic phone call to pediatrician. This time, we were prescribed Miralax, and it did actually work really well and pooping was no longer a traumatic experience. Here’s the problem…I just didn’t feel comfortable with giving her Miralax every single day for the rest of her life. I know, I know…the official stance of the medical community is that Miralax is completely harmless and safe to give to small children. But it actually hasn’t been tested for long term use in children, and it was never intended for long term use at all–even by adults. It says not to take it for more than two weeks right on the bottle, for goodness sake! No to mention there is a lot of scary stuff in Miralax. Google it at your own risk. I just wanted an alternative that I could feel completely comfortable giving her. Magnesium citrate powder. 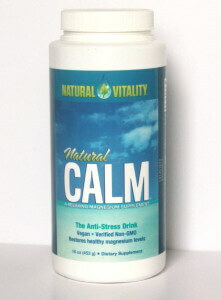 Natural Vitality Natural Calm Magnesium, Powder, Original 16 oz (453 g) is a great brand that is easy to find, and it even comes in a raspberry lemon flavor. We use the unflavored because we will be mixing it with juice, but choose whatever flavor you want! I started with 1/4 tsp powder a day and worked up to 1/2 tsp for a 30 lb toddler. The adult serving of Natural Calm is 2 tsps per day. Talk to your pediatrician and refer to bottle instructions before starting this and for specific dosage recommendations. Probiotic. Guys, the whole world needs to be taking probiotics. If our guts are overtaken by bad bacteria, it can lead to so many issues, not just constipation. We use and love Garden of Life RAW Organic Probiotic Kids, 96g Powder , but have also had good luck with Culturelle Kids Chewables, Natural Bursting Berry Flavor, 30 ct , which is more readily available and easier to find. Aloe Vera Juice (Optional). Aloe vera juice, while natural, can be a very…shall we say…aggressive laxative. It is not for everyday use, but when getting started it can be helpful to add a small amount to your toddler’s drink . This will really jump start the process of getting things moving again, and can be good to use occasionally if you hit a bump in the road. As always, you will want to consult with your pediatrician before adding aloe vera juice to your child’s regimen. I add only a tablespoon to Elise’s drink, and I have never needed to use it for more than 3 days in a row. Fill half a sippy cup with pear juice and the other with water. (We always cut juice with water for fewer calories, but whatever strength your child will tolerate is fine!) Add one serving of Magnesium citrate powder and one serving of probiotic. (This is also when you would want to add the aloe vera juice, if you are using it.) Shake it all up and there you have it! A magical pooping potion that has literally changed our life. Serve this every single day and in just a few days, you should start to see results! Of course, even the best home remedies won’t be as effective if they are not accompanied by proper diet. Yogurt is an excellent food to help the digestive system because it contains probiotics and fiber. We make sure she gets a serving of this every single day. Prunes are another must-have. I just slice them up to feed Elise, but they are great pureed for younger toddlers and babies. Essentially, you want to feed your child as many fiber-rich foods and veggies as you can and really push water consumption. Dehydration can cause constipation, and most constipation remedies need water to help push them along (that’s why I recommend mixing these powders into a drink rather than food). 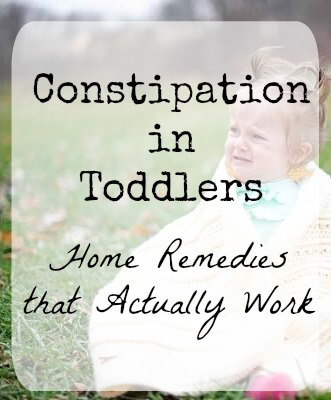 If constipation is something your child struggles with, I really really really hope this brings you some relief! Elise has been on this regime for almost a year and we have never looked back. I feel much more comfortable now that we are off of Miralax and on to something much more natural and healthy. This post may contain affiliate links. By clicking and purchasing I may make a small commission off your order, but your purchasing price stays the same. Thank you for supporting The Definery Co in this way! Your comment made my day!! I’m so SO happy it worked for you too!!! Who knew poop would be such an exciting thing?!? Thank you so much for sharing with me!! !